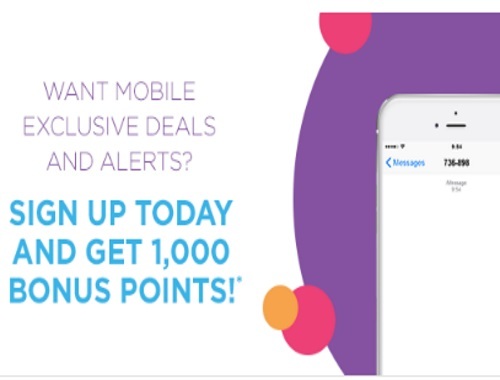 Want mobile exclusive deals and alerts from Shoppers Drug Mart? Sign up today and get 1000 Bonus Points! To sign up text SHOPPERS to 736898 to get started. By texting the advertised keyword to the short code, you agree to receive ongoing promotional text messages from Shoppers Drug Mart Inc. To opt out at any time, text the word ‘STOP’ or ‘ARRET’ to 736898. For help, text the word ‘HELP’ or ‘AIDE’ to 736898. Standard message and data rates may apply. Sign up before December 31, 2017 to get the bonus points. Points will be awarded by January 13, 2017. Click here for this offer.